This is a popular Australian-made heavy duty woodburning unit that features infinitely variable heat. 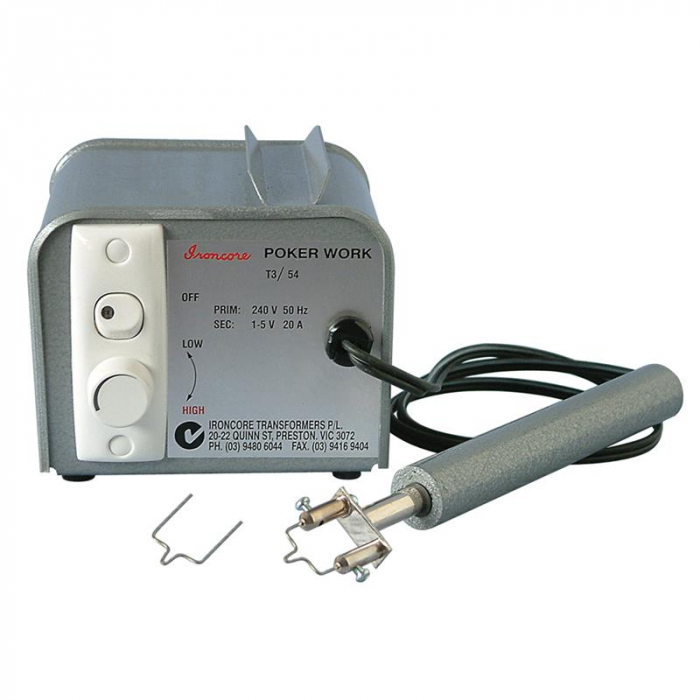 Set comes complete with two wire nibs; heavy duty handpiece with separate transformer and it also features a handpiece rest on top of the unit. Suits all your woodburning requirements from fine detail to heavy engraving. Unit is also suitable for working leather; polystyrene; etc. Spare nibs available. Weight: 2.5kg. Click the button below to add the IRONCORE HOT WIRE PYROGRAPHY SET a to your wish list.